World Heritage Day (April 18) was established in 1982 to promote and protect the cultural heritage that belongs to all humanity in common. It is a celebration of history and culture and a means of conveying the message that we urgently need to protect cultural assets across the globe. Also known as International Monuments and Sites Day, this day provides an occasion to learn about our own cultural heritage, as well as that of other peoples, and to conserve it for future generations. In the Ping Shan region of Hong Kong's New Territories, one couple celebrates Hong Kong's heritage on a daily basis. 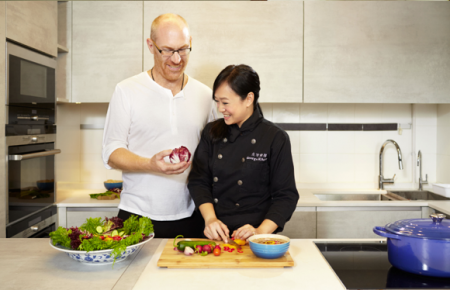 Georginia Tang and her husband Stuart Hamby live in a traditional village house that dates back nearly 250 years and lies right in the heart of the Ping Shan Heritage Trail. Located just behind the well-known Kung Ting Study Hall, the house's green brick construction and traditional roof belie its contemporaneousness with that renowned historical structure. 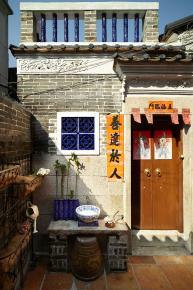 Ping Shan is a Tang clan settlement with a 900-year history. A 26th-generation Ping Shan Tang, Georginia Tang grew up in the 250-year-old house, and after it fell into disrepair, took it upon herself to carry out the renovations (with, she is quick to point out, "a lot of help from [her] brother!"). "I felt I owed it to my father to restore the house," she says. "So many other families have knocked down their heritage houses and built modern residences for renting out. I felt that we should preserve this piece of our family's history." This simple act of conservation has not only created a buzz in the Chinese-language press, but has earned Tang several speaking engagements on the topic of heritage conservation, most notably a December 2015 discussion at Hong Kong Art Centre with the school's Director, Dr. Cheung Ping Kuen, and an upcoming lecture at the Ping Shan Tin Shui Wai Public Library. 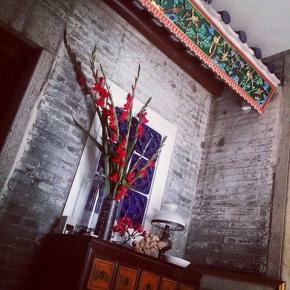 What appears from the street to be a fairly nondescript village house opens into a courtyard that displays ornate roof decorations, a carved lintel, traditional men dui (Chinese calligraphy on either side of a doorway), and a garden that blooms with plum, lychee, and sakura. There also hang planter after planter of tiny sprouts amidst tiny slate signs with hand-chalked names (Rosemary, Basil, sage, Thyme) where Tang, a professional chef, grows the spices she uses in her cooking. 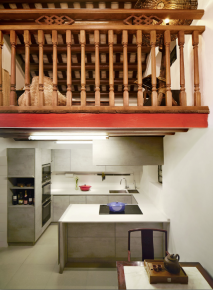 The kitchen, however, is thoroughly modern. "This is my base of operations," says Tang, a private chef who hosts private dinner parties and holds culinary instruction classes inside the house. Having recently published her first cookbook, Simply Vegetarian, in 2014, she is continually experimenting with a culinary fusion of Chinese and French ingredients and techniques. She is planning another cookbook "soon" in order to further her in-depth exploration of vegetarian cooking, and simultaneously researching traditional village cooking specific to the Ping Shan area. Upstairs, the dining area, too, is a mixture of Chinese practicality and French flair. 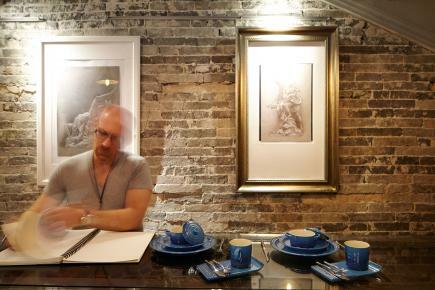 On the bare-brick wall hang Mr. Hamby's framed original drawings executed at the Louvre Museum in Paris. He, too, preserves his artistic heritage in his daily practice. "I strive to be a 21-century artist, but I have to admit that, yeah - I do look back [to art history] an awful lot," he chuckles. "I find myself turning again and again to the best examples of the past 500 years." Hamby, trained in traditional figurative art in France, and partly at the Louvre Museum, now teaches drawing and oil painting in the couple's house - as nearly a perfectly fitting location as can be imagined. "Everywhere I look in this house, there's something to paint," he says, clearly eager to capture it all on canvas. "And the light here is incredible!" While the couple are planning a blog, and possibly a book, to record their conservation experiences, interested parties can find George Tang 左字廚房 George Kitchen and Stuart Hamby Visual Artist & Painter on Facebook or join Mr. Hamby's Meetup group.